Rate this Article Many online casinos offer free spins to their players in a variety of manner but how can you turn these free spins into cold hard cash? Well, we've got a couple of tips for you! Some people say that the best things in life are free, yet others are much more cautious, believing that there’s no such thing as a free lunch. So, with virtually all the online casinos and slot sites offering free spins to attract new customers, which approach is accurate? Are these offers as good as they seem, and if so, how do you go about converting these reel spins into real cash? The first thing to be clear about is that whatever the free spins offer is, and no matter how brightly and attractively it is packaged, the aim is not to give away free cash. It’s not a birthday card from your gran. It’s a sales promotion. The operators are in business to make money, not lose it, and so, you will usually find lengthy terms and conditions in the “small print” below the razzmatazz of the headline offer. Knowing what the site is trying to do, rather than taking their generous offer at face value, is the key to making money from free spins. Never lose sight of the fact that the aim of their game is different from yours. They want to recruit new, and preferably, regular customers while you want to get your hands on some free cash without getting eaten up in their system. It may seem counterintuitive, but the best way to make big money from free spins is to look for the smaller offers. The more money the site appears to be giving away, the harder it will be to get your hands on that cash. Fortunately, there are a few red flags to look out for that will warn you away. For example, most free spins offers will have a cap on the potential winnings. Now, it may seem logical to look for the biggest cap, but you will usually find that these are the hardest to withdraw. A cap of £100 may seem like free money, but you may have to wager this 20, 30 or even 40 times before you can withdraw it. The same is often the case with deposit match bonuses, and even no deposit bonuses, which can put you through a long-winded process before you see any profit. On the other hand, there are lots of free spins offers that place a significantly smaller cap on winnings, such as £2.50 or £5. You may win less, but you can usually withdraw this straight away as real money. These are a loss leader by the sites, and they think that it is money well spent to get you to come and see what they have to offer. By playing this style of free spin offer across a range of different sites, you can soon rack up a tidy sum without having to go around the houses to withdraw it. To be sure you are playing for real, check the small print carefully to see how your winnings are paid and make sure they go to your cash balance and are withdrawable. Of course, the other advantage of playing free slots is that it doesn’t cost you anything to learn how the game works. Many slots can be quite complicated, with bonuses and side games to negotiate. Remember, the games are designed to keep you playing regularly until you learn all the tricks and techniques. With free spins, you can make all your rookie errors on their money, so that when you come to play with your cash, you know what you are doing. 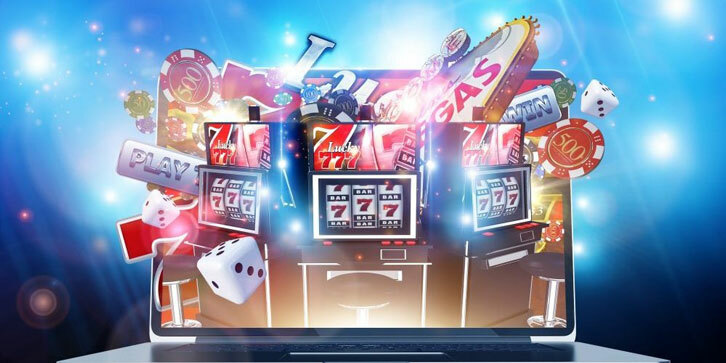 Although many free spins offers are specific to one or two machines, you’ll find that there are common themes in slot machines, and so, all practice is good. If you are after practice and training, rather than a quick win, then look for the offers with the most number of free spins. As discussed above, it is unlikely that you will walk away with any winnings, but you will be a better player by the time you have played your 500 free spins. If you play with a purpose and stay aware of what the offers are trying to achieve, there is no reason you can’t make real money with free spins. Even if it is only £2.50 or £5 at a time, with hundreds, if not thousands of free spins offers available online, the free money is there for the taking. So, get spinning and start winning!